If on your way to work each day, you had to negotiate a gantlet of tens of thousands of dangerous obstacles, moving at speeds up to 17,000 miles per hour, and no one could tell you where the next one might come from, you might be inclined to raise the issue with your congressman. Though it sounds like a video game, it&apos;s close to reality for satellite operators who face a similar situation 24 hours a day, constantly on the lookout for the perilous approach of space junk and careering satellites. 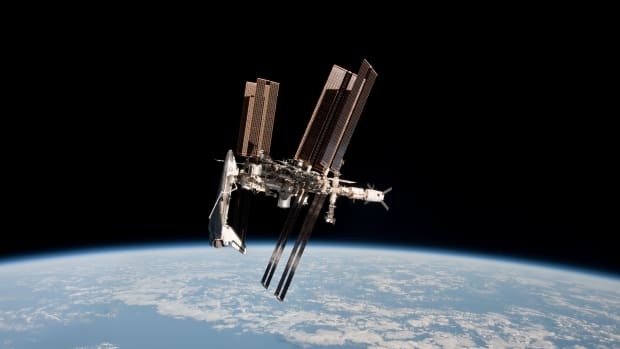 In the wake of the Cosmos Iridium collision, which dispersed thousands of chunks of debris in Earth&apos;s orbit, satellite professionals from the military, civil and commercial sectors went before congress to call for improvements to the nation&apos;s "space situational awareness." Air Force Gen. Larry James of the Joint Space Operational Command said the U.S. military does a good job monitoring the space lanes by using its network of ground-based radar stations. The Air Force tracks more than 19,000 objects, he said, including "1,300 active payloads and 7,500 pieces of debris." He added that new launches coupled with anticipated improvements in tracking systems will raise that number to a total of 100,000 objects over the next 10 years. However, experts say the hard part is predicting when any two of these objects might cross paths, then deciding what to do if that should happen. Richard DalBello, vice president of legal and government affairs for Intelsat General, a firm that operates a fleet of communications satellites, said keeping track of traffic in space is only going to get more difficult as the tempo of launches increases and propulsion systems get more sophisticated. Operators who rely on chemical propulsion systems generally maneuver once every two weeks to maintain their position, he said. 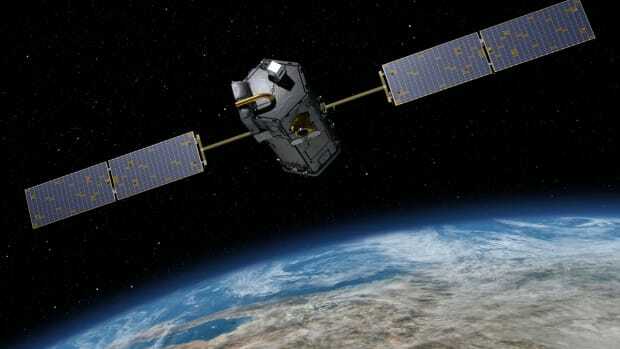 But that will change as new propulsion technologies come on line: "Accurately predicting the orbital location of a satellite will become more difficult as more satellites employ ionic-propulsion systems and are, essentially, constantly maneuvering." And there&apos;s a more down-to-earth issue causing headaches, too. "There is no single standard for representing the position of an object in space," DalBello said. The precise answer depends on who needs to know. "Different operators characterize the orbital position of their satellites differently, depending on the software they use for flight operations." In this environment, hazards that can kill a multimillion-dollar "bird" are likely to present themselves with little warning, he said. Because a satellite&apos;s position in space over time is its stock in trade and determines what services it can provide and to whom, satellite operators keep careful tabs on their own birds. Scott Pace, director of the Space Policy Institute at George Washington University, said that by sharing information characterizing their own unique flight paths among one another, the satellite operators can make sufficient arrangements to stay out of each other&apos;s way. However, he said the method that one company uses to compute its orbits may not necessarily translate easily into terms that can be readily understood by another operator, particularly in an emergency situation such as a close approach or an impending collision. Pace told Miller-McCune.com that there is an urgent need for a dialogue over standards "so that when one is talking about positioning information, it&apos;s in the same standard format for passing the information from one satellite operator to another. And, so that everybody knows what format to expect it in, what the numbers mean and what units they&apos;re in." He said he welcomes a recent proposal from the U.S. military to broaden access to its radar and space situational awareness data, but satellite operators wishing to use the data must first decide how to interpret it — and that isn&apos;t easy. While it is no doubt useful to know whenever a dangerous object is spotted on radar, Pace said it is of greater concern to satellite operators to know where it may be headed. And, he said, to do that you need to enter the radar data into models to predict where and when the debris might approach a satellite&apos;s flight path. But he added, "There are a number of different technical disputes among the modeling community as to how one does that. "There is not yet agreement on what models they&apos;re using, so, if one group uses data on one model and predicts an issue, and somebody else uses the same data but with a different model and produces a different result, how do you reconcile the two?" The wrong answer could have disastrous consequences for a satellite making its way through a field of orbiting debris. Differing standards could lead to mishaps such as the 1999 loss of NASA&apos;s Mars orbiter, where contractors working on the same project used different measurement systems. Pace recommends that the international community adopt a standard open-source model that could be used to verify space debris issues. "It doesn&apos;t mean that there is one model and that&apos;s it for all time, but that one of the models be used as a standard on an open source basis, so that people can check the code, and improve it." Pace believes space traffic management will evolve over time, but to help it along, the international community should support the space standards developed by the International Standards Organization and avail itself of the dialogue within the Consultative Committee for Space Data Systems. He sees the Internet Corporation for Assigned Names and Numbers, which runs Internet naming conventions, as a good example of the type of international dialogue he would hope to see on space standards. "ICANN is a voluntary arrangement where everybody came together. The U.S. played a large role as the originator of the Internet, but everybody having a chance to participate." In the struggle to control space debris, finding the right words may prove as critical as finding the right technology. The United States has built one of the most advanced technological societies the world has ever seen, but we still don't really know when spring starts.